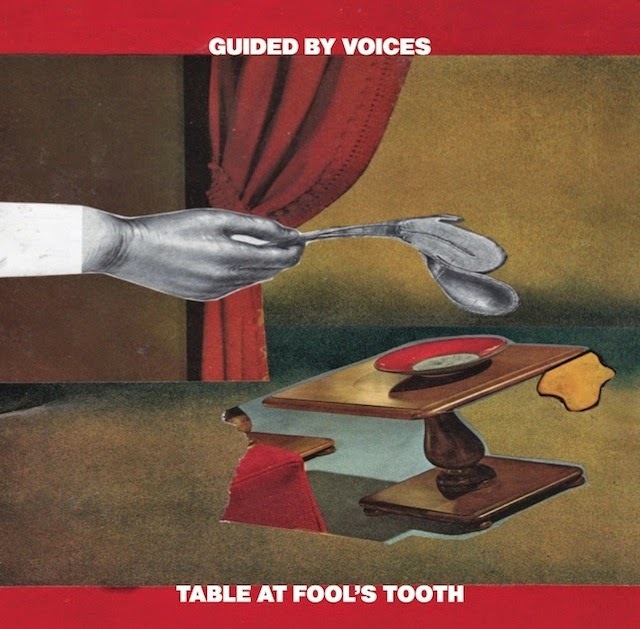 Table At Fool's Tooth 7"
In honor of 2014's 2nd GBV album, Cool Planet, 4 separate 7''s were released. The A-sides each contained a cut from the upcoming LP, while side-B featured an exclusive track. Each were limited to 1000 copies, some sold through the Rockathon webstore, others through retailers. Each of the 4 7'' singles were pressed on a different color wax. This one.....mixed gray. Table At Fool's Tooth- Same song as on Cool Planet. Read the review there. Pillow Man- 4 The Tobin Sprout b-side of the bundle of Cool Planet 7''s. Reunited classic line-up GBV has a habit of burying Sprout gems on b-sides to rot away in fan listened obscurity. Well, "Pillow Man" is no exception. Muffled vocals, buried in a glowing stream of pop melancholy. Blissful yet regretful.